Massachusetts Bay Commuter Railroad Co. has handled maintenance and operations for the MBTA’s sprawling commuter rail network for 11 years. After months of tightly guarded review, the general manager of the MBTA plans to recommend dropping the T’s long-time commuter rail operator and awarding the billion-dollar contract to the French firm Keolis, two people briefed on the decision said Friday. The recommendation, for the largest operating contract in state history, would still require a vote from the board of directors that oversees the MBTA and state Department of Transportation. The board is scheduled to meet on Wednesday. The proposed deal — to begin when the current contract expires at the end of June — calls for an eight-year term with the possibility of multiple two-year options after that, said the person, who added that MBTA General Manager Beverly A. Scott personally took part in negotiations with Keolis executives in Boston earlier this week. MBTA officials declined to comment, beyond saying through a spokesman that Scott would bring a recommendation for either Keolis or current contractor MBCR to one of the two board meetings this month, scheduled this Wednesday and on Jan. 29. 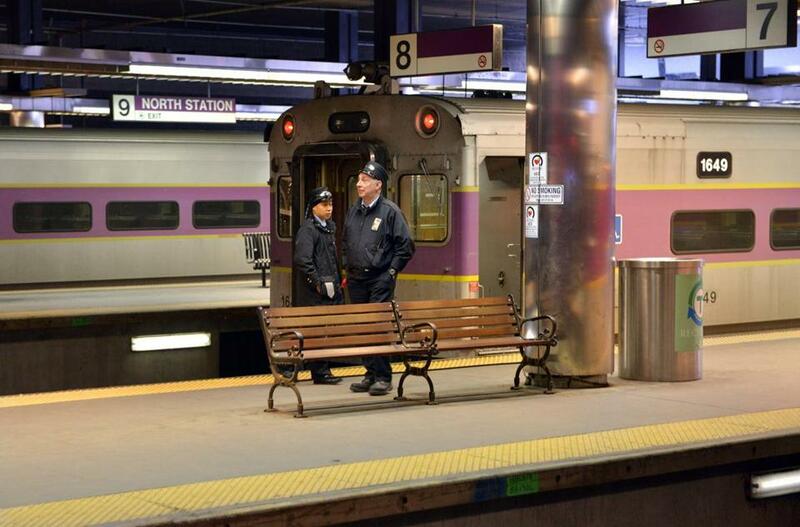 “The MBTA commuter rail services contract procurement process is ongoing, and the process must be respected until it is completed,” spokesman Joe Pesaturo said in an e-mail. If approved, the potential new contract would end the 11-year-run of the Massachusetts Bay Commuter Railroad Co. to maintain and operate the commuter rail system that fans out from North and South stations, ferrying about 70,000 workers daily along lines that reach as far as Rhode Island, Worcester, and the North Shore. An in-house panel, led by the MBTA’s chief financial officer and former acting general manager, Jonathan R. Davis, has been working with consultants in closed-door meetings and keeping close tabs on the reams of materials submitted by the two bidders, the people briefed said. But the full roster of the panel and the details of its work to vet the bids, culminating in Scott’s recommendation, remain a secret. The panel is distinct from the governor-appointed board of directors that helps guide MassDOT policy and has the final vote on major infrastructure and operating contracts. Multiple members of the board of directors said they either had not been briefed yet on Scott’s recommendation or could not comment on the process that led to the recommendation for the rail contract. “This is one of those where we’re protected [from divulging] by not knowing. If I was being tortured, I could honestly say I don’t know,” said Alan Macdonald, one of the six appointed members on a board that also includes the secretary of transportation. The Boston-based MBCR, an international consortium started by a former MBTA general manager with close ties to the state, took over the commuter rail contract in 2003 — after the T ended a rocky 16-year run contracting with Amtrak — amid promises to control costs and improve service. But MBCR, which has been paid roughly $300 million a year on a contract that ends June 30, has had its share of problems, including service delays, fluctuating ridership, and bouts of consumer dissatisfaction. MBCR leaders have said some of those challenges stemmed from a badly aging fleet owned by the state, which postponed or ran into problems with long-promised orders for new equipment. MBCR was founded by James O’Leary, a former MBTA leader who has mentored Richard A. Davey, the current state secretary of transportation and a former MBCR executive. Davey has recused himself from the selection process and will not vote on the contract. The company hired an advising team that included Doug Rubin, a close political associate of Governor Deval Patrick. That perceived inside track may have dissuaded some companies from the wide bidding pool state officials had hoped to attract. Though more than two dozens firms expressed initial interest, only two — MBCR and Keolis — even submitted statements of qualifications to the MBTA in 2012, prior to the time-and-material-intensive final bids. Officials from Keolis and MBCR declined to comment Friday. While Keolis is prominent internationally, it is considered a relative newcomer to the US rail market. Its parent company has received mixed reviews in France, with rising ridership accompanied by increasing complaints about delays and crowded trains. At Keolis’s only commuter rail operation in North America — the Virginia Railway Express, which serves Washington, D.C., and its Virginia suburbs —internal evaluations of customer satisfaction suggest improvement in the three years since Keolis took over the system. But that two-line system pales in comparison with the complexity of running the MBTA’s commuter rail network, the fifth largest in the country in terms of passengers, and maintaining its fleet of about 500 coaches and locomotives. John R. Jenkins, chairman of the state transportation board, said Friday he did not feel comfortable discussing when the board expects to receive a recommendation, much less what the recommendation would be, or how the directors might vote, outside of discussion at the upcoming public board meetings. Paul Regan, executive director of the organization that represents municipalities that get T service, said it has been “a little frustrating” to be kept in the dark on such a large contract. But Regan, of the MBTA Advisory Board, said he understands the administration’s desire to protect the process. Regan said competitive bidding should yield a better experience for commuters and a better deal for taxpayers, regardless of which firm is picked. “The next contract [should] have more of what works and more ways to hold the vendor responsible and accountable for the service that they put out there under the T’s name,” he said.